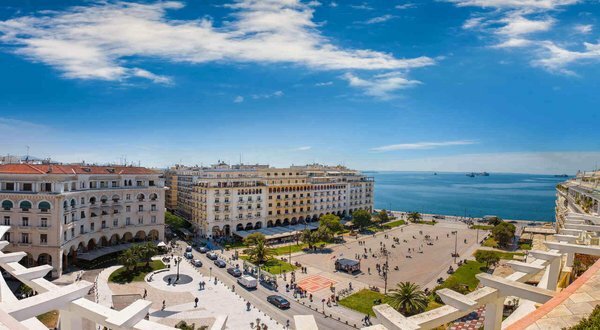 Thessaloniki is the second largest city in Greece, located near to the coast, 520 km north of Athens. present in the stones of the buildings on all sides. glimpse the remains of a Roman palace complex and stunning mosaic art. Modiano, which is open every morning between Monday and Saturday. degrees. The average temperature of the sea during July is a balmy 26 degrees.